There’s something to be said about the bond between a father and his daughter. They never really grow up to be anything else than your little girl. But then some day they do grow up. It’s not something easy to accept at first, but neither does it have to be the end of your world. Growing up is part of life, but so too is having fun and sharing in magical moments with your kids. When the time comes you may just find yourself being led on safari by that very same little girl all the way to Africa. 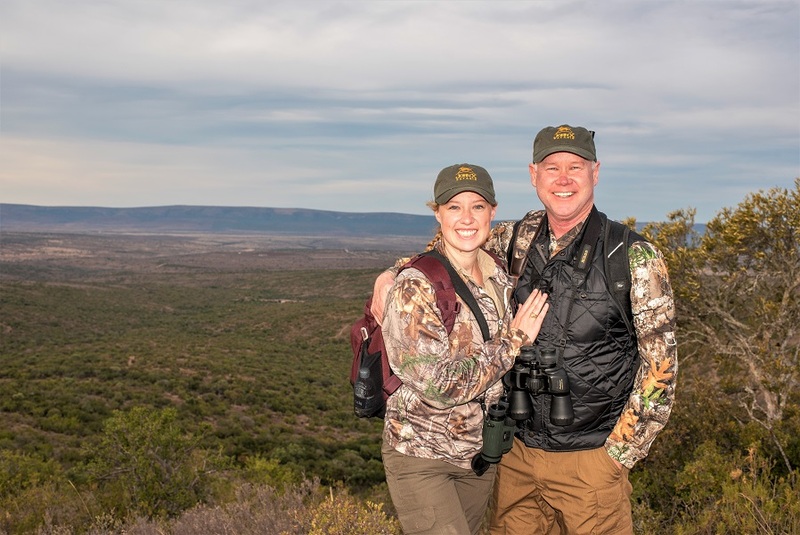 Having met Bobby and his daughter, McKenzie Crow, at a get-together hosted by Horizon Firearms in College Station, Texas, we soon realized this father / daughter duo were no ordinary team. McKenzie had a deep passion for hound hunting. She spoke with great excitement about her experiences in Texas and her love for hounds. Bobby on the other hand was the kind of Dad any child would be lucky to have as a parent. Patience, kindness and a desire to put his daughters’ passions first best summed up his character. Bobby had a few priority species he wanted to pursue, while McKenzie would do the majority of the hunting. They started well, finding their feet in Africa, while enduring some cold and wet conditions. 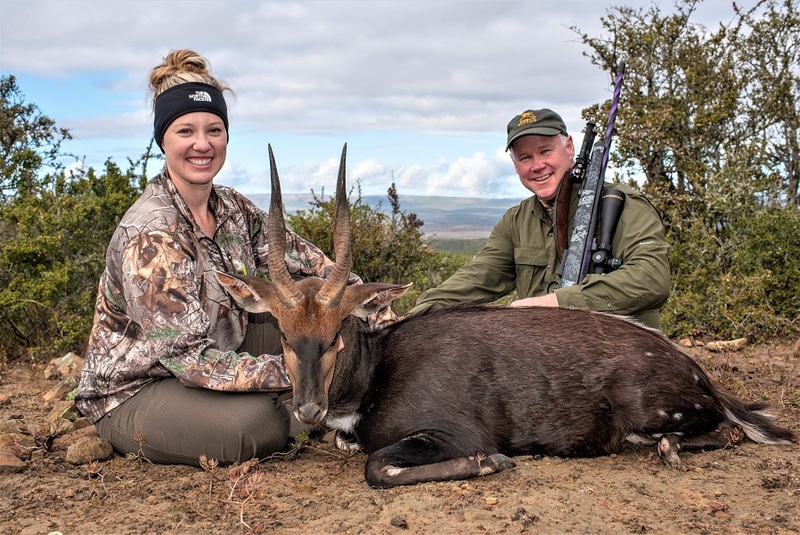 Of course like those before them, they were after the ever impressive East Cape Kudu and wanted to pursue a number of management game opportunities too. 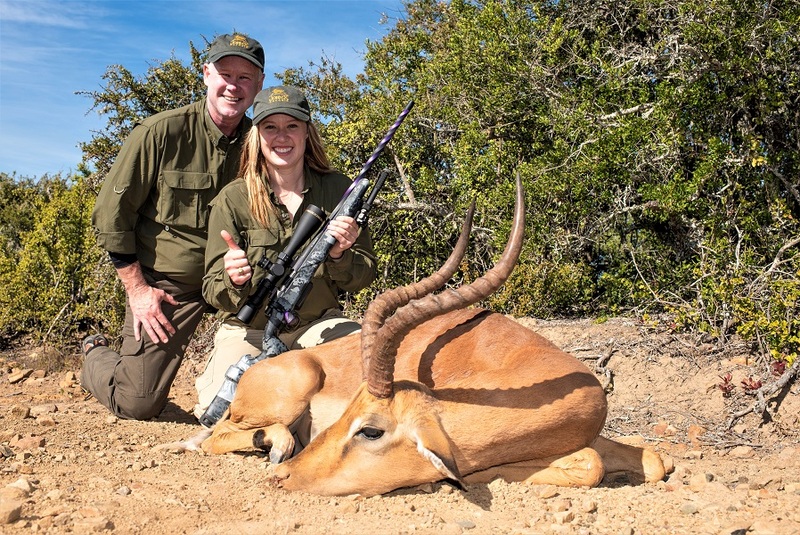 They too soon learnt about those unexpected surprises when hunting in Africa, making the most of a magnificent Cape Bushbuck. While for most these species would prove to be the highlight of their safari, it certainly would not be the priority for McKenzie. Having briefly mentioned the possibility of hound hunting for African Bushpig while out on safari with us in the East Cape during that initial meeting, one could literally see McKenzie’s face light up at the thought. The seed had been planted – there was no going back now. They would join Professional Hunter, Ross “Stix” Hoole, and tracker, Thandu Xolo, with hunting dogs, Baxter and Pepper, for their safari. Combined with GTS Productions cameraman, Pierre “Ozzy” Prins, they made for a formidable team experiencing one of the most bazaar days of our season. Picking up from Stix on the trail …. “After an early wet start to our morning in the cold our houndsman located fresh scent and the hounds were released. It immediately became apparent that the pack had split after jumping the nest as it distinctly sounded like two separate sets of hounds heading in opposite directions. McKenzie and I chose the nearest sounding pack starting our chase in hot pursuit. Running as hard and fast as our legs would carry us fighting our way through the undergrowth we started nearing the hounds. Getting in fairly close to the lead dog – the deep booming voice of the Bluetick hound sent the adrenaline surging through our veins! As we approached cautiously the hounds took off again. The pig had jumped bay and we were on the chase once more. This time they were heading down the valley, over the nearest edge ahead of us. We could hear them starting to bay once again in the next canyon over – time to run and get in close again! Sliding down the muddy embankment I could distinctly smell the pig in the middle of the commotion. Ten hounds and two terriers were giving it their all when heart-wrenchingly the pig split again taking flight up the draw. It was odd, although I didn’t think much of it at the time – the terriers and two young hounds had split from the lead hound. As we rounded the next clump of vegetation all chaos erupted! Dogs, water, Kudu, rain and out-of-breath hunters… an old Kudu bull had taken flight ahead of the terriers and landed right in the middle of a pond catching the attention of the terriers, who are always up for a fight, proceeding to swim after the bull. As much as we shouted and called them off, they swam harder and the bull began pounding them into the water with its horns. One terrier disappeared for a few seconds before surfacing only to receive the same kind of attention from the old bull once again. Needless to say, we had forgotten about our Bushpig hunt and now turned our sights to the Kudu and the situation at hand. To say their hunt escalated quickly is the understatement of the decade. A Bushpig hound hunt led to an opportunistic Kudu hunt, but the lead hound was still on a Bushpig and they had no time to catch their breath. 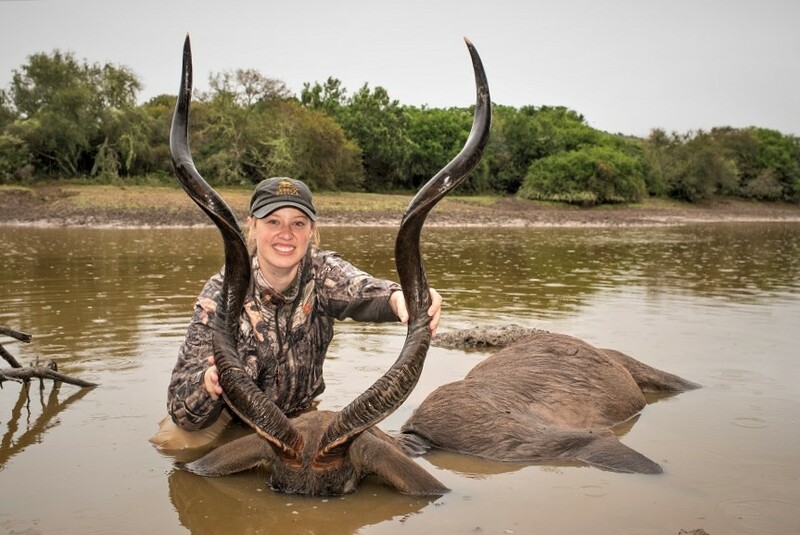 If you’d like to get in touch with us for your next adventure to Africa, then drop us a mail on hunting@johnxsafaris.co.za for hunts like this and many more. For more information and current updates about John X Safaris; follow us on Twitter, connect with us on Facebook, subscribe to our YouTube Channel and visit our Website.